The Celebrate Christmas Wine case is new for 2016 and a perfect gift to send to loved ones this year. 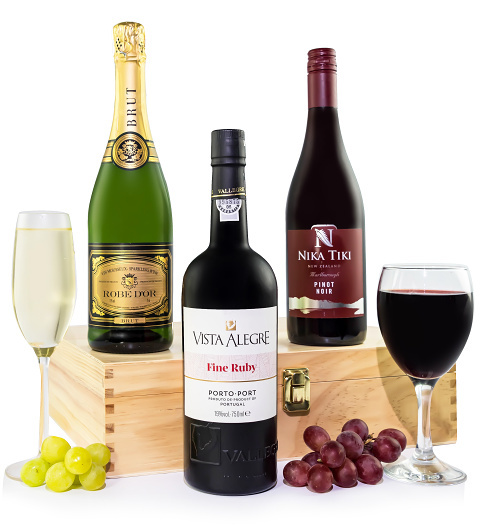 Presented in a luxury wooden case is a delicious Brut Robe D'or for Christmas day (to enjoy with the Turkey), A fine Ruby Vista Allegra port for Boxing Day (Enjoy with the left overs!) and a bottle of bubbly to celebrate the bells at New Year!